Offering full color digital printing, offset printing, full service bindery, floor planning and shipping services. 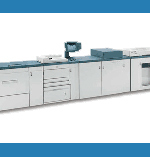 Our staff has over 30 years combined experience in the printing industry. The following is a small list of products we manufacture. © Copyright 2008 Express Print. All Rights Reserved.